PLEASE NOTE THAT WE HAVE MOVED!!! 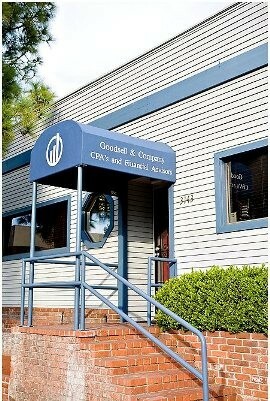 OUR NEW OFFICE IS LOCATED AT THE CORNER OF FOURTH AVENUE AND NUTMEG, ABOUT 4 BLOCKS SOUTH OF OUR OLD ADDRESS. Conveniently located in the Bankers Hill area just north of downtown San Diego, we provide expert accounting, tax and financial services to successful businesses and individuals throughout San Diego County and across the country. We believe our services are especially well suited for clients who value a close relationship with their CPA as their most trusted advisor. Our staff includes highly qualified specialists covering nearly all financial concerns that business owners and individuals encounter. We provide peace of mind to our clients by being fully informed in areas such as business and individual tax issues, payroll and human resources, business planning and attest services, and personal financial planning. We take care of our clients. We are fully committed to our clients - and we perform. We use our technical training and practical experience to find ways to help our client make and save more money, pay less tax, invest more efficiently, and live with less stress. We're very proud of what we do and we hope you'll take the time to go through our site and feel free to contact us if you would like to know more about us or if you have questions or issues where we might help. All matters are handled in the strictest of confidence and with the highest ethical standards.